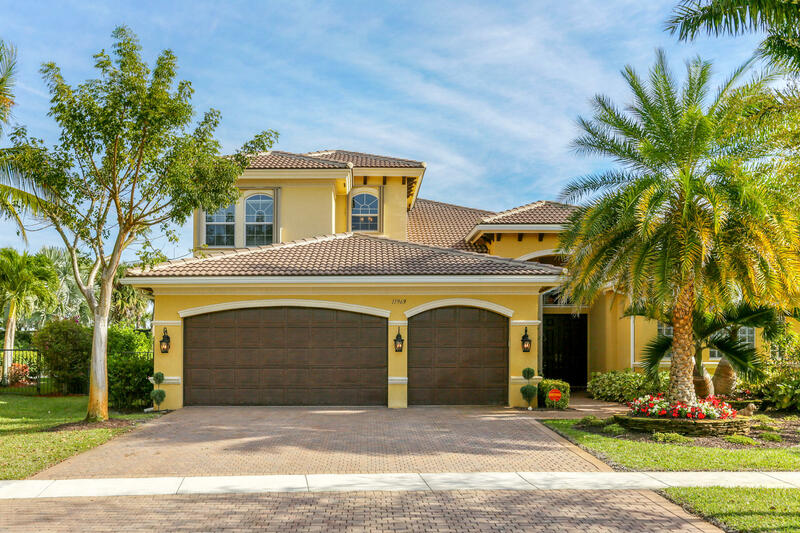 This beautiful, bright and spacious, Cobalt model, 6BR/4BA/3CGAR open floor plan home is perfect for entertaining. Desirable home features include: Volume ceilings, contemporary kitchen, with built in refrigerator, double ovens, cooktop, stainless steel hood and stylish cabinets with crown molding, newer A/C, Accordion hurricane shutters, Elegant master bath with marble countertops and flooring, large shower and a spa tub, Stylish Wrought Iron railings leads to a loft, and two bedrooms and bath. Oversized custom-built heated pool has a swimming shelf, amazing lighting, and child gate. Hardwood flooring throughout adds to the beauty of this large estate. Canyon Springs has a fitness center, tennis courts, pool, basketball court, clubhouse, childrens center, tot lot, and picnic area.